The RYSE Center held a training in October to help community leaders learn how trauma affects the health of Richmond youth and how creating safe spaces can help young people–and the community–heal. De Anza High School students made a case to Richmond City Council to ban flavored tobacco, which is disproportionately exposed to young people in low-income neighborhoods. The RYSE Youth Center held a mock election tonight for kids, where children showed an overwhelming preference for Clinton and Sanders. Local children’s art showcased in downtown Richmond thanks to Richmond Main Street’s annual Art In Windows program and the Love Your Block program. Despite being one of the dance capitals of the world, with 73 public and private colleges and universities offer dance majors, for decades there hasn’t been a single-subject teaching credential in dance for the California public school system. 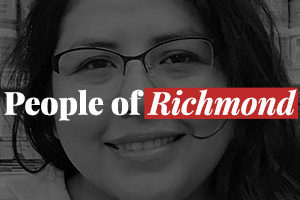 With national protests erupting over the non-indictment of the police officers involved in the Brown and Eric Garner cases, Richmond served as a rare example of a peaceful protest on Tuesday. Groundwork Richmond had its second annual event on Saturday recognizing those who have dedicated their time and supported their projects. The free event included family activities and music performances, and VIP tickets were sold to raise funds for the program.